Lee Lynch had been writing songs since he was a teenager but never imagined they would be published, or indeed be recorded by fellow artists. His first break as a songwriter came in 1966 when Fanfare Music heard him sing his new composition 'You Know There's Me'. They decided to publish and record the song with Lee Lynch and his band 'The Blue Angels'. He has composed many of his own recordings since, as well as finding time to write for fellow Irish entertainers such as Daniel O'Donnell, Brendan Bowyer, Joe Dolan, Brendan Shine and many more. 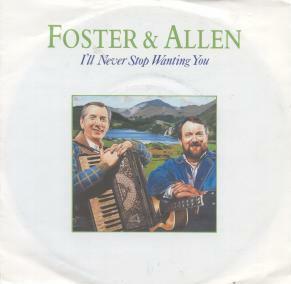 Lee Lynch wrote the Foster & Allen single 'I'll Never Stop Wanting You', which can be seen here. 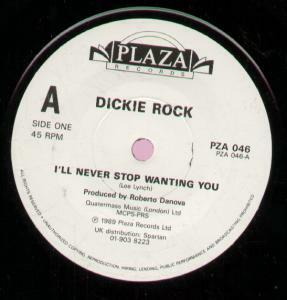 This song was also a hit for showband legend Dickie Rock. Here's a song that Lee Lynch wrote in 1984 for Irish country music star, Margo. It's called 'Forty Miles From Donegal'. In 1991 Lee Lynch decided that 'That Same Old Heartache' would be the last song he would ever write and so it proved to be. It was never released on record. Only recently has he agreed to let the video be shown.